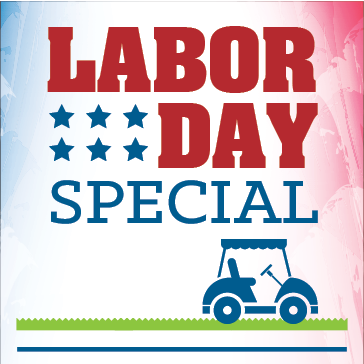 Come out to the course to enjoy Labor Day Weekend Specials! Take advantage of not working, by golfing! Enjoy these specials all weekend long - Friday, September 3rd, Saturday, September 4th and Sunday September 5th. Rates include 2 beverages. Advantage Cardholders save additional $7! Only Valid on September 3rd, 4th, 5th, 2016. Beverages include non-alcoholic drinks and domestic can or draft of beer. Must be 21 years of age to purchase alcohol.